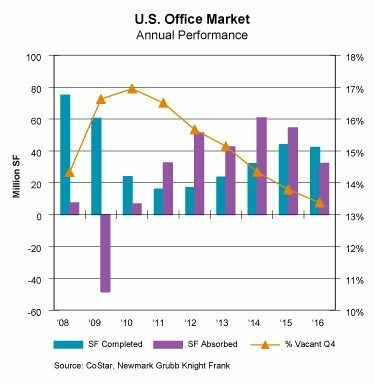 This is NGKF’s most recent construction update regarding office space. I think it provides great insight as to what we’re not only seeing here in Utah, but across the nation. Enjoy! 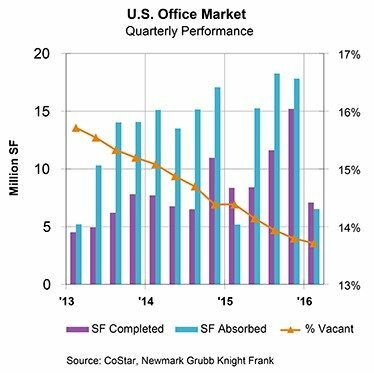 Office space under construction will end the first quarter of 2015 at 75.3 million SF, which is still 40% below the prior peak of 124.8 million SF from the fourth quarter of 2007, before the onset of the recession. 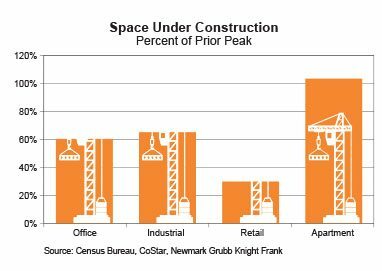 In the prior expansion cycle (during the mid-2000s), office construction moved from trough to peak over the span of 15 quarters, compared to the current cycle where construction is still 40% below peak after 17 quarters. The same trend is evident in warehouse construction, which will end the first quarter at 98.8 million SF (still 35% below the prior peak of 151.6 million SF) after 21 quarters of steady increases. During the mid-2000s cycle, warehouse construction moved from trough to peak over the span of 18 quarters. Retail has had the slowest rebound in construction. 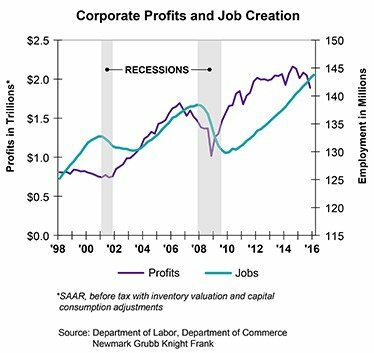 This is due to the sluggish return of wages and incomes, which means less money for consumers to spend, as well as the ongoing migration of store-based sales to the internet. The first-quarter construction total of 31.5 million SF remains a woeful 70% below the prior peak of 105.4 million SF from the third quarter of 2007. Unlike other property types, multifamily construction has fully corrected from its recessionary decline. The number of units under construction in buildings with five or more units totaled 454,000 in January (three-month moving average, seasonally adjusted), exceeding its pre-recession peak by 3%. Demographic and lifestyle preferences are driving construction with many new projects in downtowns and the nearby mixed-use neighborhoods favored by millennials. The moderate increase in construction can be attributed to greater caution on the part of lenders and stricter oversight by regulators following the financial crisis of 2008-2009. The coexistence of construction activity and tightening market fundamentals will continue for a while, with the exception of the apartment market, where supply and demand have reached equilibrium.